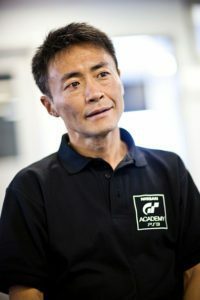 Last week, Kazunori Yamauchi joined the European GT Academy finalists at Race Camp and spoke with them, answering some of their questions. A video of his session with the UK and Ireland finalists has hit the web, which you can see above. Although his answer is classically ambiguous, it likely hints at an evolution of the online and social aspects that were first introduced in the series with Gran Turismo 5. How that will translate into specific features, of course, remains to be seen.